There is no successful entrepreneur who has launched a startup and kept in growing who hasn’t faced some type of learning curve. Some small business owners struggle to master technology, others have deficits when it comes to writing and communications, and others may not know where to begin when it comes to financial management. This is why entrepreneurs need access to the educational resources that will help them succeed. Here are 10 online educational resources for entrepreneurs. 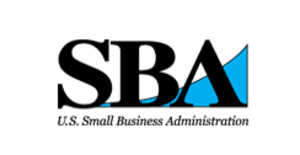 The Small Business Administration Learning Center offers a wide variety of courses for entrepreneurs. Small business owners can find courses in the areas of Business Management, Government Contracting, Marketing, Financing, and Launching a Small Business. In total there are 60 courses that entrepreneurs can take to learn about recruiting employees, patents and copyrights, obtaining financing, and more. SkilledUp is an online repository of classes in the areas of business, general education, technology, and creative. Within each category, there are several subtopics. For example, in the business category there is sales and marketing among many other subtopics. All the business owner needs to do is select the topic and subtopic that interests them. Then they can find the course that interests them. This course, also known as HRM 303 provides business owners with a basic primer in Human Resources. By watching this series of 26 video based lectures, entrepreneurs will learn about collective bargaining, EAP programs, recruiting, career development, OSHA, pay and compensation, benefits, organizational strategy, along with many other topics. This course is highly recommended for any entrepreneur who plans on hiring either staff or contractors. Open Learn is the group of free online courses offered by Open University. Entrepreneurs will be particularly interested in the money and management courses that are available on the website. Some of the classes that are available are 21st Century Marketing, Intro to Bookkeeping and Accounting, and more. There are also free course available in the categories of languages and technology. Papersboard is a website that offers a variety of services to entrepreneurs interested in receiving assistance with writing, editing, and proofreading content. In addition to this, the website also contains a variety of blogs and articles with advice on writing. These in particular make this a great resource for entrepreneurs who would also like to become better writers. Any entrepreneur who has decided to include inbound marketing in their overall marketing strategy should make it a point to bookmark this page. There, they will find a variety of webinars, white pages, blogs, case studies, books, and more all on the topic of content marketing. Business owners can even access original research, or subscribe to an email list so that they can receive daily emails on content marketing. MIT Open Courseware is a growing set of internet based classes covering a variety of topics from Energy to Life Science. The entrepreneurship segment is a suite of classes that are specifically aimed at educating entrepreneurs and small business owners.These free courses include classes in the areas of finance, marketing and planning, strategy, leadership, operations, and law. MIT also hosts videos that are of interest to entrepreneurs. As most entrepreneurs know, search engine optimization is the series of steps that one must take to ensure that their website has the best possible position on the search engine results page when computer users enter in specific keywords. Knowing what SEO is, however is not the same as knowing how to apply the principles of SEO. MOZ offers a series of courses that business owners can use to learn about using SEO on their website and in their blog posts. Entrepreneurs can start with a very basic introductory class, or they can jump in with both feet and join MOZ academy where they learn how to use the MOZ suite of tools to optimize their website. Lynda offers nearly 55000 courses and video tutorials under the category of business. The courses offer include tutorials on using Microsoft Office, Productivity, Leadership, Career Development, and Management. However, entrepreneurs should take some time to explore the classes offered in other categories. For example, there are classes on video production, photography, web design, and software and application development. Any of these classes could be of great value to entrepreneurs who are taking on the tasks of developing their own websites, or creating their own content. 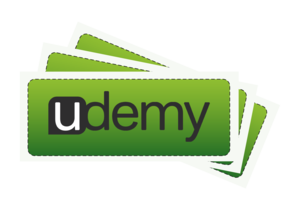 Udemy offers business owners slide show based courses in the areas of entrepreneurship, sales, and management. Each course is reasonably priced and takes between 2 and 3 hours to complete. Some specific course topics are, Pricing and strategy tactics, writing a business plan, and ideas & executions. This article was written by Julie Ellis from Business2Community and was legally licensed through the NewsCred publisher network. Next articleThe Secret to Writing? Make it a Habit.